EasyTurf artificial grass can revolutionize the look of your lawn while providing a maintenance – free, grass alternative. We provide synthetic turf options for properties in Tampa Bay and the surrounding areas. With our artificial lawn solutions, you can enjoy saving money and time while having a convenient option for a green and vibrant looking lawn. Count on us for the highest quality fake grass available in Tampa Bay and the nearby areas. When you are looking for a simple and easy way to care for your lawn, you can trust that EasyTurf can provide the right solutions. We assist homeowners and business owners with effectively meeting all of their lawn solution needs. We offer free estimates for a variety of different areas including backyards, front yards, and commercial spaces including event spaces, playgrounds, and pet facilities. EasyTurf is perfect for use in a variety of different applications including both residential and commercial properties. It offers a real grass-like environment for pets as well as children and is an environmentally friendly solution that is allergen free. Our artificial grass is comfortable for pets and children to play on and also looks aesthetically pleasing. Our artificial turf is a step above the rest and offers the authentic look and feel of grass with all of the benefits of low maintenance and convenience. With so many benefits, it makes sense to consider EasyTurf for your grass replacement needs. Contact us to find out more by giving us a call at 1(866) 327-9887 today. An EasyTurf artificial grass is a cleaner, more attractive lawn. An EasyTurf installation of EasyTurf synthetic turf can last 15 to 25 years. EasyTurf play safe system is an essential part of any play space. Golf professionals nationwide have chosen EasyTurf for their own practice greens in their backyards. Pet facillity owners love EasyTurf because it keeps the dogs and their facillities cleaner. We are happy to help you with your artificial grass project. Give us a call so that we may answer all of your questions. EasyTurf is an industry leading manufacturer of artificial grass products. Supplying both commercial and residential clients alike with a synthetic turf solution that solves all of their live grass problems. Learn About the Easyturf difference. The difference is in the drainage. EasyTurf artificial grass is more than just the turf grass itself. It’s a complete landscape system. The artificial grass system includes preparation of the ground the artificial grass will be installed on, the drainage through the artificial grass backing, the infill material used to keep the artificial grass blades erect and provide ballast, and the yarn that create the “fake-grass” blades. EasyTurf artificial grass for residential landscape matches the look and feel of real grass. Artificial grass requires little to no maintenance. Keep your residence looking pristine with artificial grass landscaping from EasyTurf, your artificial turf Orlando, Sarasota and Tampa Bay company. 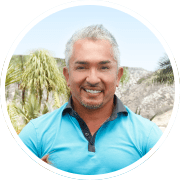 "Here at the Dog Psychology Center™, we have a lot of land to cover, EasyTurf was the best choice for us and is the best choice for your pack." CONTACT US and Stop Mowing Your Lawn! Contact us! We’re ready to provide you with a free estimate for artificial turf installation services that perfectly fit your budget.